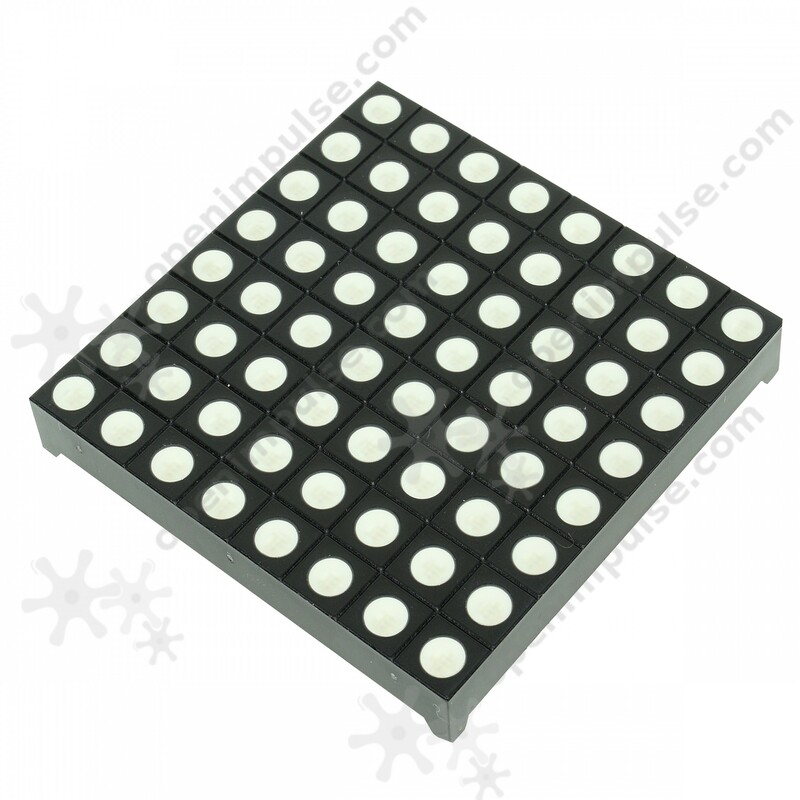 This 5 mm 8x8 RGB LED Dot Matrix is very useful for development projects which need LED display of number, letters, or figures. 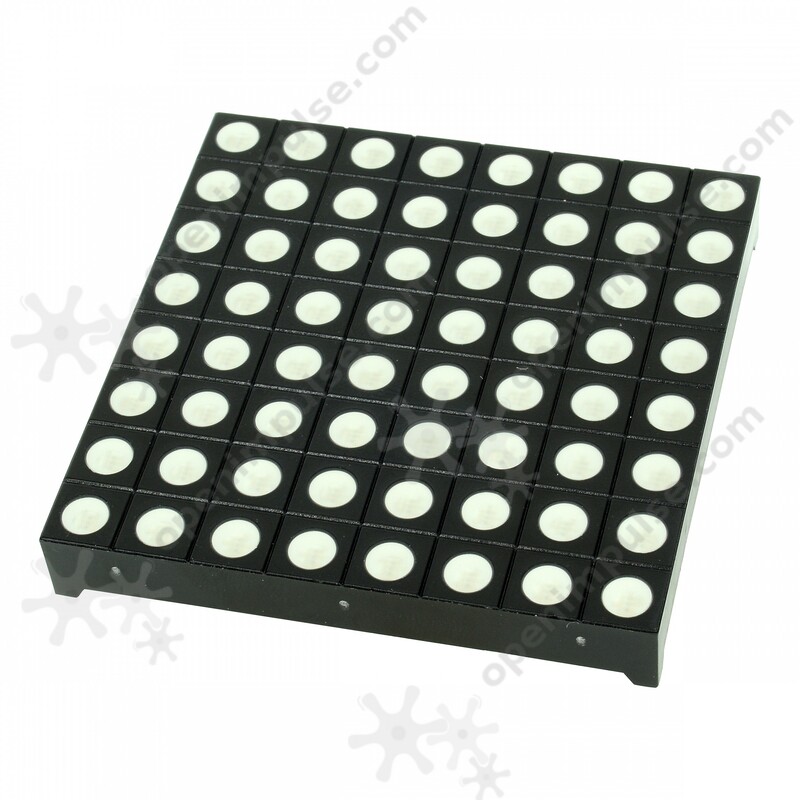 This 5 mm LED dot matrix is composed of 64 elements arranged in 8 x 8 matrix that is very useful for development projects which need LED display of number, letters, or figures. 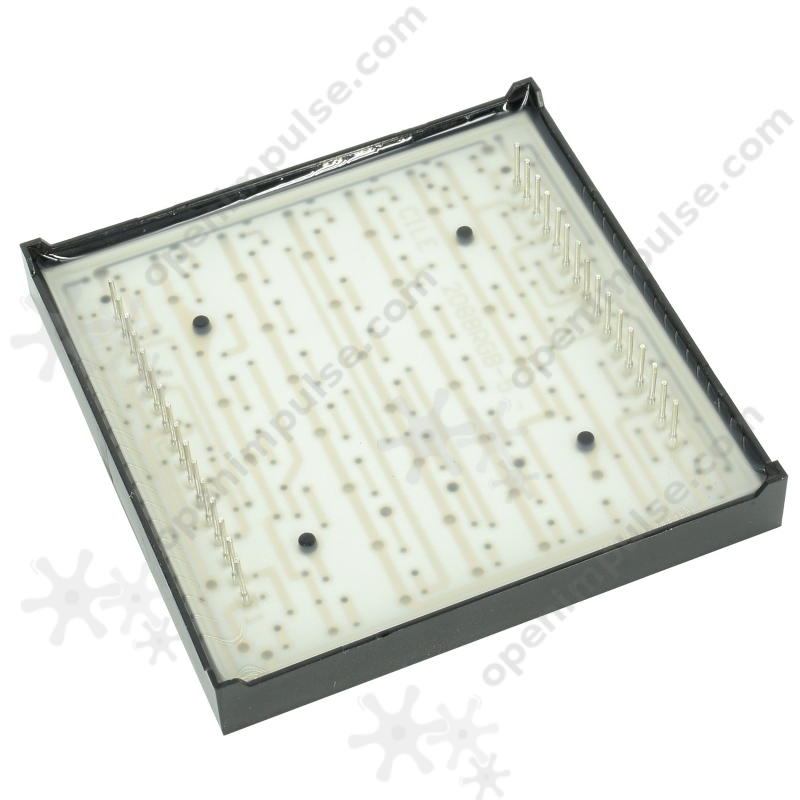 In order to function properly, each LED needs some voltage drop and current as follows: red LED needs 1.8V - 2.2V and a maximum of 20mA (recommended 15 - 18mA), the green LED needs 2V - 2.4V and a maximum 20mA (recommended 15 - 18mA) and blue LED needs 3V - 3.4V and a maximum of 20mA (recommended 15 - 18mA). 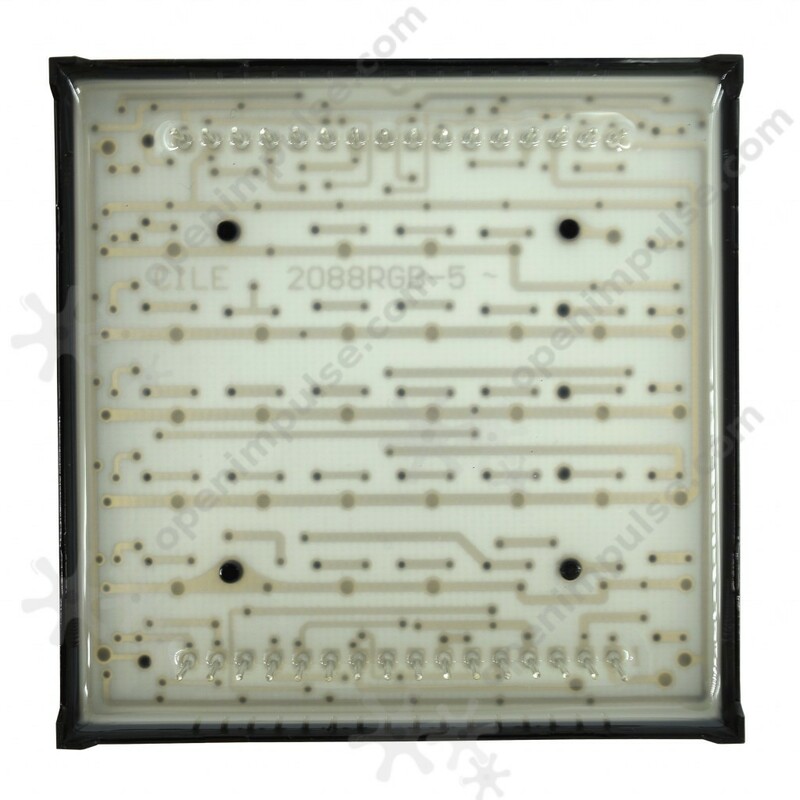 The size of the matrix x 60.5 mm to 60.5. 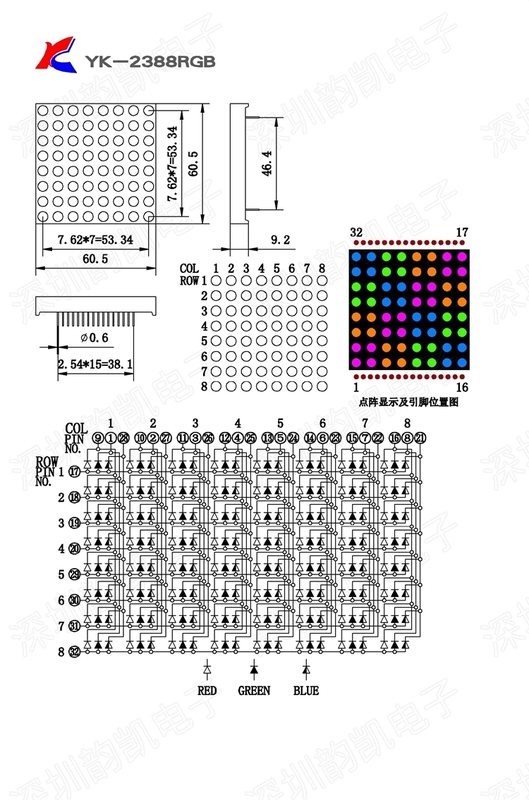 For more details on connections matrix or other dimensions, see the attached picture. 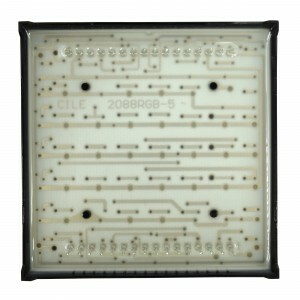 With this module and an Arduino-compatible development board, you can create your own Snake game.